Chef ’s Table, The British Are Here! Starting this week, Zucca Trattoria chef and owner Elio Scanu is implementing a special “chef’s table” dining experience at Zucca. For chef’s table guests (limited to 8-10 per week), Scanu will create a personalized tasting menu, using the finest seasonal ingredients, and paired with custom-selected wines. In addition, Scanu will join guests at the beginning of each course to explain the food and wine being served. More Zucca news: The restaurant has opened its patio for al fresco dining. And, through the end of June, Zucca is featuring Italian regional fare with a focus on the cuisine of Campania. Also, chef Scanu hosts monthly cooking classes at Zucca. The topic of the Saturday, June 20 class is “Italy’s Influence on South American Cooking.” On July 18, Scanu will teach a class called “South American Gourmet Travel.” Zucca cooking classes are $40 per person and include lunch. Zucca Trattoria is located in South Ogden at 1479 E. 5600 South. 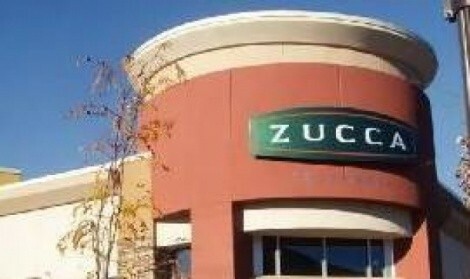 For information and reservations, phone 801- 475-7077 or visit online at MyZucca.com. Have you been pining for bangers like the ones you had in Merry Old England? Well, now you can have your bangers and mash made with authentic English sausages, made right here in Zion. Lawrence Stevens is founder of England’s Finest, a local company producing two varieties of all-natural English-style sausages based on family recipes: Lincolnshire sausages and Cumberland sausages. Lincolnshire sausages are light, coarsely ground, mild sausages flavored with sage and other herbs and spices, while Cumberland sausages have a bit more kick, mostly from generous amounts of black pepper. New stores are getting on board every month, but presently you can find England’s Finest-brand sausages in Salt Lake City at The Store and Union Jack, at Layton’s Little Taste of Britain, Kent’s Marketplace and Winegar’s in Roy, and at Lee’s Marketplace in North Ogden and Logan. You can also place orders online at EnglandsFinestFood.com.